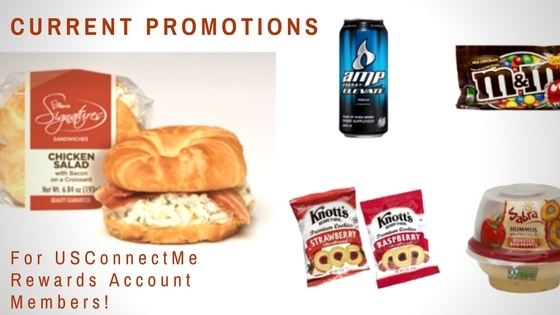 Hot Summer Specials with Your USConnectMe Rewards Account! Summer’s still hot, and so are our quarterly specials. All the items listed below are buy four, get the fifth free when you use your USConnect OneCard or the USConnectMe app. Remember, card holders earn 5 reward points for every dollar spent, and redeem online for cash back on your account. You’ll earn up to 2.5% back every day! Your rewards also give back. At participating locations, 1.5% of every dollar spent on your OneCard or the USConnectMe app goes to the charity of your choice. Now that’s truly rewarding! If you’re not already signed up for USConnectMe, register here. If you haven’t already downloaded the USConnectMe app, do it today at the Apple Store or Google Play Store. It’s happening again; a new superfood is gaining popularity, and its proponents are clamoring to extol its health benefits. Today, it is coconut water’s turn. Realistically, it’s unlikely that one substance could act like some sort of miracle elixir and solve the world’s health problems. 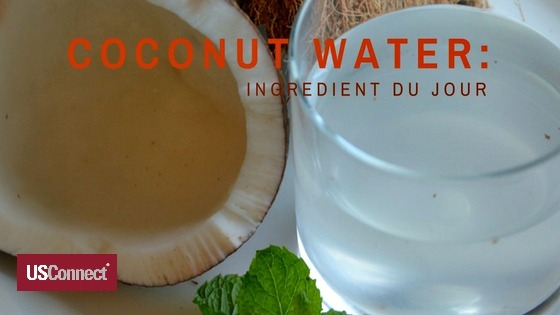 Indeed, the US Food and Drug Administration (FDA) has scrutinized many of the claims of coconut waters’ marketers and found that they come up short. Several companies selling “raw” coconut water have had to revise their claims, and coconut water makers in general have significantly reduced their assertions of what coconut water can do. Coconut water’s main claims to health benefits are its electrolytes (the rehydrating element of sports drinks) and its high level of potassium. However, Vita Coco, a popular maker of the beverage, settled a class action lawsuit in 2012. Consumer plaintiffs in the lawsuit claimed that Vita Coco misrepresented coconut water by calling it “super-hydrating,” “nutrient-packed” and a “mega-electrolyte.” And in a case of “too much of a good thing,” a New York man became ill from an overdose of potassium from drinking too much coconut water. Coconut water does contain a good amount of the nutrients potassium (19 percent RDA), calcium (4 percent), and magnesium (4 percent). It is fairly high in electrolytes and has less sugar than most sports drinks or fruit juices. A 2012 study in the Journal of the International Society of Sports Nutrition found that coconut water hydrated athletes just as well as sports drinks and that plain water hydrated just as well as both! When in doubt, you can rarely go wrong with plain water. If you’re craving something a little extra, coconut water is a healthier choice than juice, sports drinks, or soda. Why buy imported when you can buy local? In the summer, nature’s goodness abounds, from local farmer’s markets to USConnect’s Bistro To Go!™ kiosks. Here’s your best guide to summer’s best fruits and vegetables. Summer is the best time for strawberries, blueberries, raspberries, and blackberries, which usually come into season in that specific order. From the first strawberries in May to the last raspberries of August, berries are full of vitamin C, fiber, and antioxidants. Peaches, nectarines, apricots, and plums come into season in June and last throughout the summer. Packed with vitamins A and C, manganese, and potassium, pit fruits can last longer and travel better than local berries. Although tomatoes are widely available year-round, the fresh tomatoes of summer bear little resemblance to the pale, mealy winter varieties. Slice them with some fresh basil, grill them, or chop them into a chilled gazpacho; their high level of lycopene will help keep your heart healthy. Salads can be a healthy year-round meal, but the greens and lettuces of summer can’t be beat. Experiment beyond iceberg with darker, more flavorful greens like arugula, red leaf, and red Boston lettuce. The darker the leaf, the more nutrients like iron, folate, and vitamin K it will have. Green beans last a long time in cold storage, which means that by the time you buy them from the grocery store, they could already be a month old. That’s a great reason to buy them in the summer, when they’re fresh. Green beans are high in beta-carotene and omega-3s.